Log in to your gmail account and open the offending email. Select Report spam from the menu. 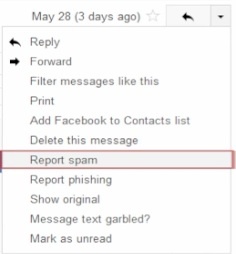 Result: Congratulations, you have learned how to report spam in gmail.